My name is Vlad, I'm a self-taught graphic designer, computer science student and photography enthusiast. 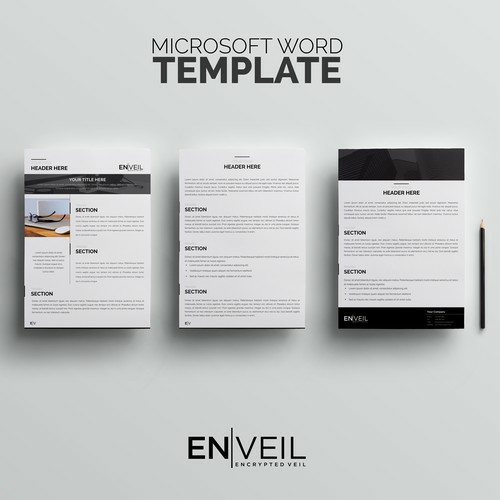 I love to create from scratch or improve powerpoint presentations & templates. I have a lot of experience with pitch decks, letterheads, business cards, and executive summaries but I'm also open to anything new. If you are looking for professional design solutions for your business, invite me to a 1-to-1 project to discuss your next project! 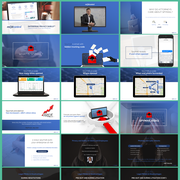 "Vlad did an amazing job creating a new PPT template for us in a really short time-frame - I shall be asking him to do more work for us. Excellent communication and a great eye for design! Thank you!" "Best designer I have work with till date! Highly recommended!" "Fantastic Job. I'd definitely use this designer again! " "Work completed promptly and Vlad understood what we wanted well"
"Amazing and talented designer that is extremely fast and effective." "A talented designer that is great to work with." "I'm a repeat customer because of Vlad's excellent design skills and professional manner. " "Wonderful to work with - responsive, quick and a great design." "I highly recommend Vlad. This is my second project with him and he's proven his ability to complete work on time, communicate effectively, and provide an outstanding product. He's a pleasure to work with and I'll send more work his way." "Vlad does an incredible job of working quickly, listening to feedback, and providing options for how to improve your content in a more visually appealing way. He is easy to work with and I highly recommend him. 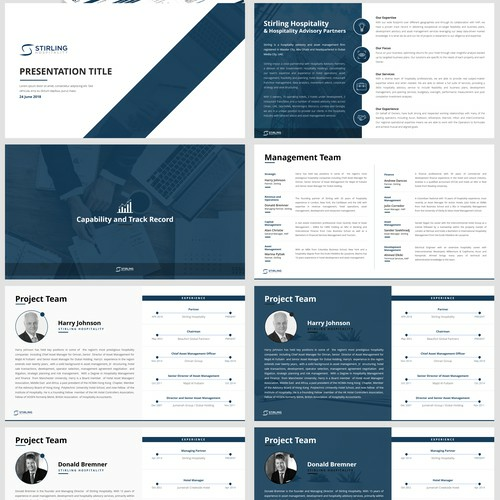 I'll definitely have him improve more slid..."
"fast, efficient and professional ppt-template for company"
"Great designer, created an awesome PPT template for my company. Highly recommend." "Always a pleasure working with the designer. He just gets it done and is very easy to work with." "Great designs every time. This project included custom photoshop cut outs - which looked fantastic! " "Excellent work, understand every feedback, and very fast with modifying the work." "Always a fantastic job. Thank you for the quick service. " "Great work cleaning up our press kit. Thanks again!" "Thank you! Your designs were fast and flawless. I appreciate the quick service. " "Another quick and great job by this designer. Thank you Vlad!" "Great job on the investor presentation powerpoint!" "Bagacian created a powerpoint presentation for a pitch I am giving to several Fortune 500 companies. He was quick to turn around the work. He understood the creative brief. And was very easy to work with. I highly recommend him. " "Excellent work on the powerpoint sales deck! Thank you!" "Creative, thorough, endlessly flexible - great work at a great price!" "Just according to agreement - always a good experience"
"Excellent, timely work product. Very responsive. " "Great work completed to a tight deadline"
"Very quick and responsive to work with, went over and above what was required"
"As always, continued great service! Thank you"
"Excellent service and product! We are repeat customers and Bagacian did a great job in short order. " "Vlad delivers high quality on time results. I recommend his work." "Vlad is a complete pleasure to deal with. Super prompt and a great design eye. Will continue to use for presentation work!!" "Excellent experience! He was very meticulous in making sure that everything was to our desires/needs and worked with us on tweaking fonts. Will definitely seek out his design services again. Thanks Bagacian!" 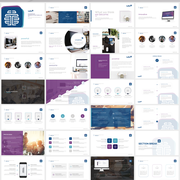 "Vlad helped us redesign and rebrand our old powerpoint presentations, and the final product is superb. His response times were fast and his technical skills are high quality. I recommend his work!" "Vlad is an amazing graphic designer who pays attention to details. He will boost any project that you have. " "Excellent designer and highly recommended. Vlad's skills are A+. " "Super turn around and attention to detail. I am a repeating customer!!" "This designer is a pleasure to work with and always delivers great value. I highly recommend him." "Again Bagacian Vlad hit the nail on the head. Excellent slide master deck for UoT!" "Bagacian worked with me as I "discovered" the look I wanted to project to my clients. He had great design ideas and images and he worked it other images that I found independently. I highly recommend him!" "Great designer. Fast and easy to work with. I would highly recommend." "Great person to work with. Thank you!" "Very good job. Nice & easy. Recommended." "Vlad turned around the desired PPT template swiftly, addressed all requests/questions diligently, and produced a high-quality work product to specification. Thank you!" "Quality delivery. Small slip in communication but solved perfect :)"
"Bagacian did great work, I had over 14 designs to choose from and I chose his. I am already working with him on a second project. Highly recommend. " "Impressed with his perception and understanding of our needs. Very pleasant and professional work." "Great designer, very attentive to detail and responded very quickly to accommodate any changes. Very impressed with the end result. Highly recommended!" "Professional, fast and very creative. Only designer who was able to stand out with an original design. Not something that has been copied numerous times with another logo. I will work with him again on 1-1 projects, and already did right after he won..."
"third job by Vlad. Highly recommeneded. He accomodated everything we asked for as well as extras above and beyond. A super guy to do business with and top notch person!" "This is a very good designer who does everything to please. Great design work, very creative, and super responsive and timely. I would give him an A+." "Really talented designer, very quick to respond to any feedback and messages - it was a real pleasure to work with. Would recommend to anyone." "power point templates customized to my logo-very responsive, very professional-highly recommend"
"Very good design as from the first delivery, clearly a craftsman 1st class. All desired changes were done within very short time frames. We will for sure work again with Bagacian Vlad, he is a great designer." "Really good designer who wants to truly serve his clients. Highly recommended!" "Easy to work with and very responsive, which was super important since we were on a tight deadline. Thanks for making it possible ChrisVlad!"